Police Ombudsman Dr Michael Maguire. A Police Ombudsman investigation has cleared police of failing to ensure a Derry man was returned to jail after breaching the terms of his licence. The Police Ombudsman, Dr Michael Maguire, launched an investigation after learning that the man had not been returned to jail despite breaching his bail conditions by taking drugs and alcohol. Police had responded to reports that the man had two knives, was acting erratically and had cut his wrists during an incident at his house in Derry in July 2015. A number of members of his family were in the house with him, and police checks showed that he had displayed suicidal tendencies in the past. Officers, including an armed police response unit, were tasked to the scene. They removed everyone else from the house and restrained the man, who later required treatment in intensive care. He was released from hospital two days later. The following day, the man’s probation officer asked police to forward a report on the incident. The report was provided and the day after that the Department of Justice revoked the man’s licence. Police then arrested him and returned him to prison. 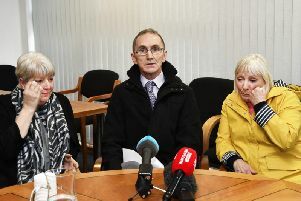 The Police Ombudsman launched an investigation after learning that police had not arrested the man and returned him to prison after his release from hospital, and had not informed the Probation Board about the incident (the Board learned about the incident from the man’s social worker). However, the Probation Board’s area manager explained that the Board did not operate a weekend service, and had already been informed about the incident before police would have had an opportunity to report it. In addition, the area manager said the consumption of drugs or alcohol or the man’s behaviour in his own home would not automatically mean he would be returned to prison. She expressed no concerns about the police handling of the incident. The Police Ombudsman concluded that police had dealt with the man appropriately and in compliance with relevant guidelines and agreements.